From I-85 or Hwy. 29, exit onto Hwy.8 to Pelzer. 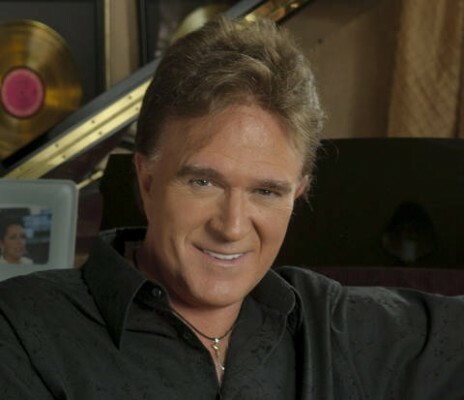 The Williamston Springwater Committee announced this week that “classic country artist” T. G. Sheppard will headline entertainment for the 35th annual Spring Water Festival which will be held August 26 & 27 in Williamston’s Mineral Spring Park. The festival will kick off at 6 p.m. Friday evening (Aug. 26) with live music, festival food, craft vendors and children’s rides. Friday night will feature beach music with the Royal Scotsmen Band and Carolina Coast Band. There will be live music and entertainiment all day on the amphitheater stage beginning at 10 a.m. and a free concert on Saturday evening (Aug. 27) at 6 p.m. featuring “Classic Country Legend” T. G. Sheppard. There will be entertainment all day Saturday on the amphitheater stage beginning at 10 a.m. NASKA National Champions Gregory Rowe and Kimber Bentley will demonstrate the skills that have led them to national titles competing in the North America Sport Karate Association (NASKA). Buttons the Clown and other kids entertainment is also scheduled. Music will begin at 11 a.m with the Blue Sky Band, Odyssey, Shelby Raye Band and T. G. Sheppard at 6 p.m. Gospel Stage Entertainment will begin at 10 a.m. on Saturday and includes: Stone River, Craig Ledford, Living Truth, Keith Kanipe, Three Seeds, Catlin Tierce, Chosen Few, Image, Gary Hart and hartstrings, Jack Roper Magic Show, Moriah Akin, and Eternal Vision. The 2016 Spring Water Festival is planning to have beach music on Friday night Friday night entertainment will feature the Royal Scotsmen Band and Carolina Coast Band. Music, food, childrens’ rides and craft vendors will begin at 6 p.m. on Friday, August 26. Following opening ceremonies on the park’s Center Stage at 9:40 a.m. on Satuday, August 27, there will be live gospel music all day on the Center Stage beginning at 10 a.m.
Also there will be live music and entertainiment all day on the amphitheater stage beginning at 10 a.m. and a free concert on Saturday evening at 6 p.m. featuring a nationally known “classic country artist”. 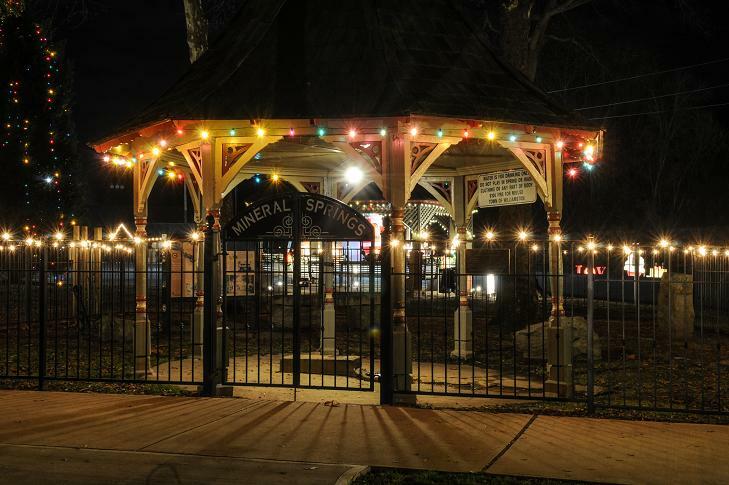 Organizers of the 35th Annual Spring Water Festival are looking for volunteers to help with this year’s festival. The festival is seeking church groups or other organizations or individuals to help with children’s entertainment/activities. Any one interested is asked to email Dianne Lollis at missetta@charter.net. SWF organizers are also looking for local singers or performers for a small number of time slots on the Amphitheater stage. Anyone interested is asked to email David Meade at editor@thejournalonline.com. SWF Entertainment to be announced soon! The 2016 Spring Water Festival is planning to have a free concert on Saturday August 27 featuring a nationally known “classic country artist” organizers said. Entertainment for the festival will be announced soon! After taking a year off, The 5K Spring Water Run will return this year as a featured attraction of the 35th annual Spring Water Festival on Saturday, Aug. 27. The run is sanctioned as an RRCA Grand Prix event. Entry fee is $20 in advance or $25 on the day of the race. Pre-registration ends on August 21. The 5K open race will begin at 7:45 a.m. Registration will be held on the day of the festival, August 27 between 6:15 a.m. and 7:30 a.m. in the parking lot beside McDonald’s in downtown Williamston. Medals will go to all finishers in the one mile race and trophies will go to the top two males and females in the 5K, the top two male and female masters and the first three places male and female, by age group. Age groups will include 10 and under, 11-14, 15-19, 20-24, 25-29, 30-34, 35-39, 40-44, 45-49, 50-54, 55-59, 60-64, and 65 and over. Awards and drawings will be held following the one mile run. All registered runners are eligible for race day drawings which will include a variety of prizes. Pictures of all winners will be made immediately after presentation of awards. 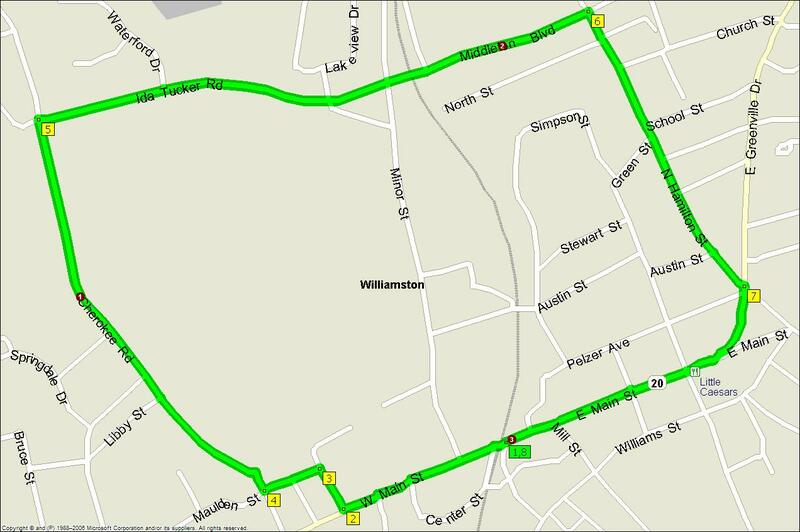 The course includes city streets and country roads with rolling hills. Splits will be called at the one and two mile mark and water stations will be on the course, organizer Michael Vickery said. Registration forms are also available at The Journal.